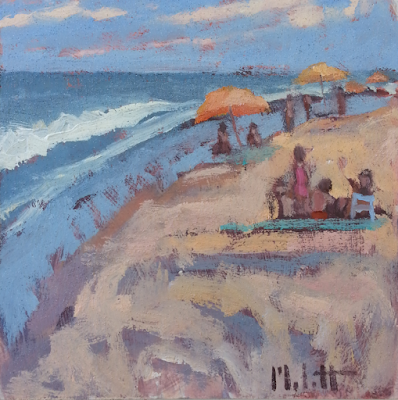 Another very sandy beach painting. I remember years ago how the sand on the beach would drive me nuts. Sand everywhere including in your paint I got used to it and now I don't even think about it. The warm weather has been good for the soul. Feeling refreshed and excited to paint on!